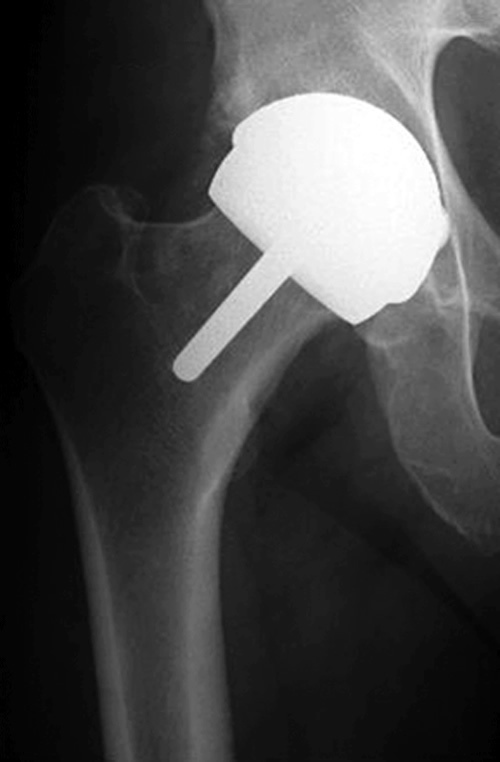 As the name suggests, hip replacement surgery replaces the worn out hip joint with a prosthetic (artificial) joint. Total hip replacement, although dating back to the 1940’s, was advanced in the UK in the 1950’s and 60’s by Sir John Charnley. Today, over 55,000 total hip replacements are performed in the UK each year. There are now many different types of hip replacement available. The most widely used consist of a metal ball articulating with a plastic socket. Some hip replacements are designed to be used with orthopaedic cement, which acts as a grout; others are designed to encourage bone growth onto the prosthesis to give long term stability (uncemented). It is the plastic liner that wears out with time, probably related to activity levels. Technological advances, however, have produced bearing surfaces which can withstand higher activity levels and will therefore wear out more slowly. These newer bearing surfaces are either metal-on-metal or ceramic-on-ceramic. Patients who are young and physically active may benefit from these newer hip replacements since the risk of implant failure is reduced. 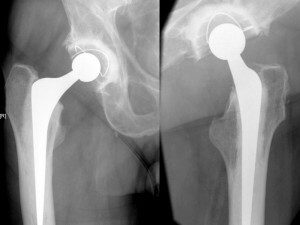 Recent attention has focussed on Hip Resurfacing. 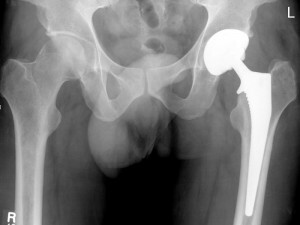 Here, the acetabulum (socket) is replaced with a metal cup and the femoral head (ball) is shaped to allow a metal surface replacement to be implanted (see picture). Hip resurfacing has the potential benefit of preserving femoral bone; the use of a metal-on-metal bearing couple should reduce the amount of wear and therefore increase implant survival. However the long-term effects of metal-on-metal bearing surfaces have been shown to cause high levels of (cobalt and chromium) metal ions in the blood. These metal ions have been linked to some forms of cancer (particularly lymphomas and leukaemias). Although there is no proof that the risk of these cancers is increased in patients with hip resurfacing, these findings have caused concern amongst orthopaedic surgeons. Other potential problems with hip resurfacing are the risk of fracture of the femoral neck (1-3%) and the need to remove more bone from the pelvis than a conventional hip replacement to allow the cup to be inserted. The scar from a hip resurfacing procedure is much larger than that for a conventional hip replacement and the operation usually takes longer. Recovery for both operations is very similar. 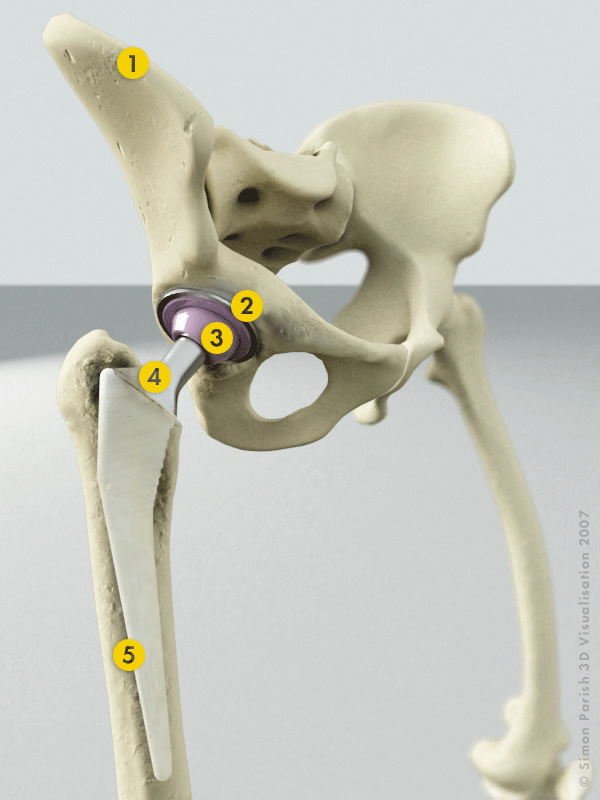 Whilst knowledge of the options available is useful to patients, the surgeon should choose the most appropriate type of hip replacement for each patient. What are the benefits of hip replacement? Patients are usually required to attend a Pre-admission Clinic a couple of weeks before the proposed operation date; investigations will be undertaken and the operation discussed. Hip replacement surgery involves an inpatient stay of 3-5 days; the patient will generally be admitted the day before the operation. The consultant and anaesthetist will see the patient prior to surgery and the hip undergoing the replacement will be marked. Most hip replacements are performed under a spinal anaesthetic (where the patient is awake but normally sedated), but occasionally a general anaesthetic is used. The hip is dislocated so that the damaged femoral head can be removed and replaced with a femoral component (the ball), the stem of which is inserted down the centre of the thighbone. The damaged acetabulum of the pelvis is shaped so that the new prosthetic socket can be inserted. At the end of the operation a drain may be inserted into the hip joint to draw off excess blood. (The use of drains is a contentious issue and many orthopaedic surgeons now do not regularly use them.) A dressing is applied to the wound. Foot pumps, elastic stockings and occasionally an injection to thin the blood are used to lower the risk of blood clots forming in the legs. 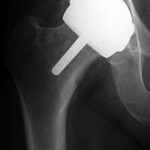 Post-operative pain is normal after a hip replacement. It can be controlled by many methods, from pain pumps (Patient Controlled Analgesia, PCA) to simple tablets, and usually lessens dramatically after the first 2-3 days. The pain of arthritis usually disappears within a day or two of surgery. Occasionally, the bladder stops working after a spinal anaesthetic; a catheter may need to be inserted into the bladder for a day or two. Once removed, most people have normal return of bladder function. Blood tests and X-rays will be taken in the early post-operative period to ensure that blood levels have not substantially changed and that the hip replacement is in a satisfactory position. The physiotherapists will assist patients in mobilising after the operation and will supervise an exercise programme. It is extremely important that patients follow this exercise programme and take the necessary precautions with their new hip. Patients can usually return to work after 8-12 weeks although this period may be longer for heavy manual work. By three months most patients can participate in low impact sports such as golf, bowls, cycling and swimming. The majority of patients undergoing hip replacement do not experience any complications. In fact 95-98% of patients are extremely happy with their hip replacement and report that it has given them back their life. However no operation can guarantee success. The risk of infection after hip replacement is about 1%. The majority of infections are superficial and require nothing more than antibiotics. Occasionally, however, further surgery is required to deal with infection, and rarely the hip replacement needs to be removed until the infection is under control. Antibiotics are used in every hip replacement and the operation is performed under sterile conditions. Blood clots can form in the veins (DVT), break off and travel around the bloodstream and lodge in the lungs (PE). This can be life threatening, but the risk is very low. Measures that are taken to reduce the risk of DVT and PE are the use of foot pumps and elastic stockings, blood thinning injections and early mobilisation. Since an artificial hip joint is not as stable as your own original joint there is a risk that it may dislocate; the risk is approximately 2%. The hip is most unstable during the first 6-12 weeks; after this dislocation is rare. In some cases the leg length must be lengthened in order to stabilise the hip and thereby reduce the risk of dislocation. It is very difficult to ensure a resulting equal leg length during hip replacement surgery, but most patients (80%) do not notice any great difference after their operation. Any minor leg length discrepancy can be treated with a heel raise. Occasionally one of the nerves supplying the leg is stretched and does not function properly for a period of time. The most common effect of this is to cause a foot drop. Over 90% of these nerve injuries recover on their own without the need for further surgery. 95% of modern conventional hip replacements will last for 10-15 years. Technological advances, however, have produced bearing surfaces such as metal-on-metal or ceramic-on-ceramic which can withstand higher activity levels and will probably last much longer. If excessive a blood transfusion may be necessary. Usually bruising is localised to the area of the scar, but occasionally bruising can stretch from the buttock down to the ankle. Stroke, heart attack, chest infection and bowel obstruction can sometimes occur as a result of major surgery. Serious medical complications can cause death.